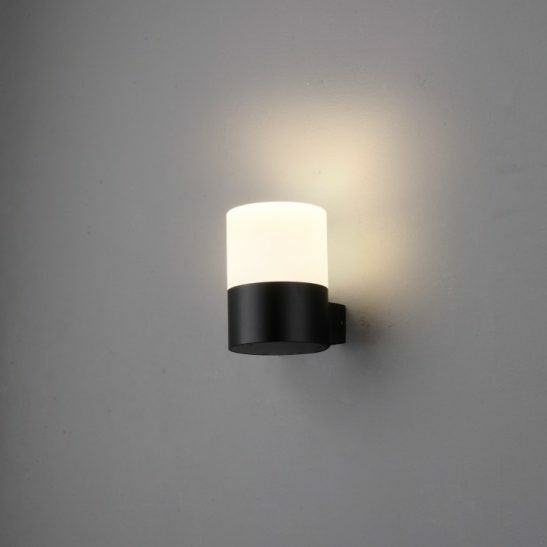 If you are looking for an outdoor up and down sconce for your porch light to provide a warm welcome for guests and family members alike then the LWA281 9 watt LED Up and down wall light may be worth taking a look at. 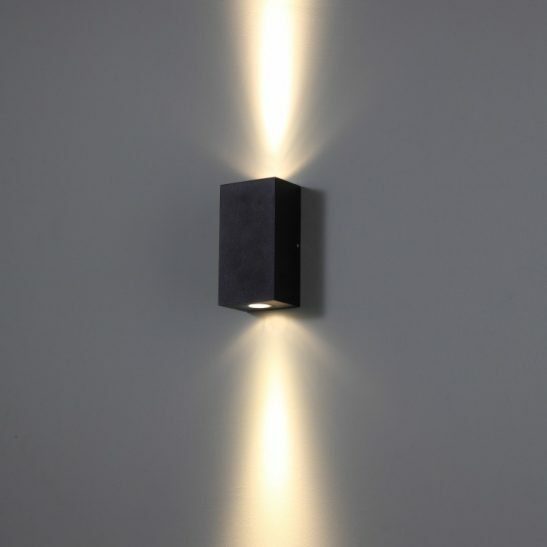 This black garden wall light has a thin beam shining upwards and a wide beam that shines down the wall. 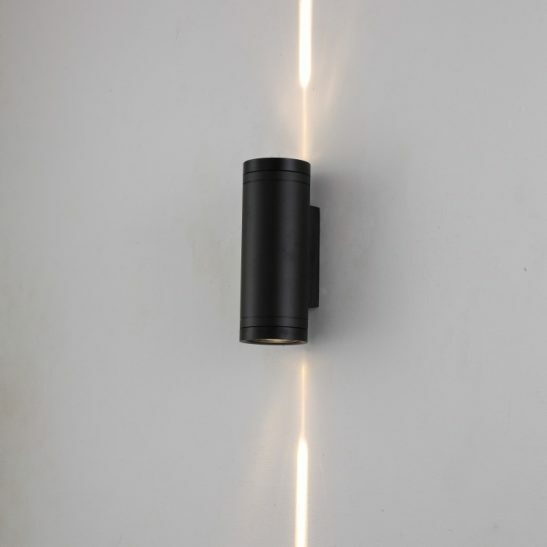 This outdoor up and down sconce has a total of 9 CREE LEDs (3 up and 6 down) with a total output of 670 lumens of light. 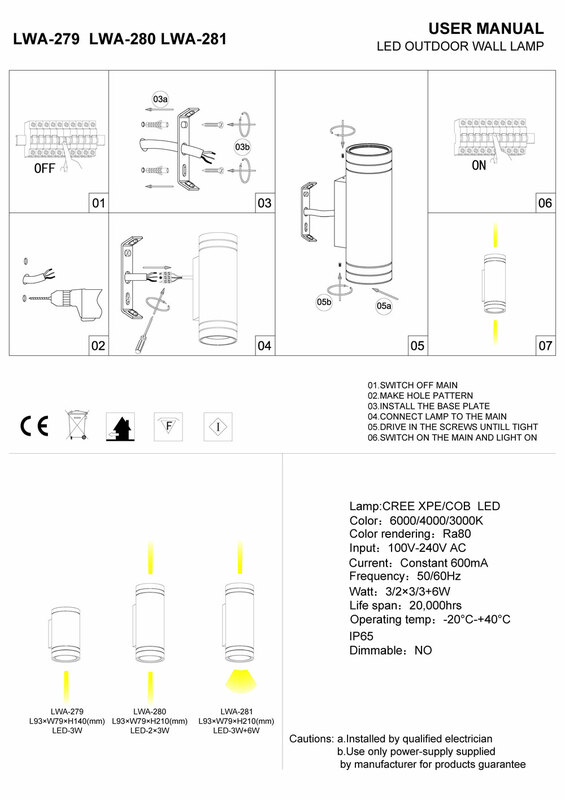 The up beam is set at 5 degrees and the down light is set at 25 degrees. 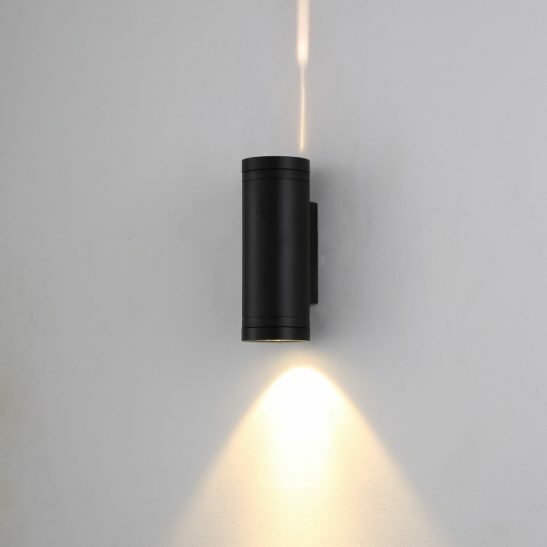 This light is made of high quality aluminum with a nice smooth black finish. 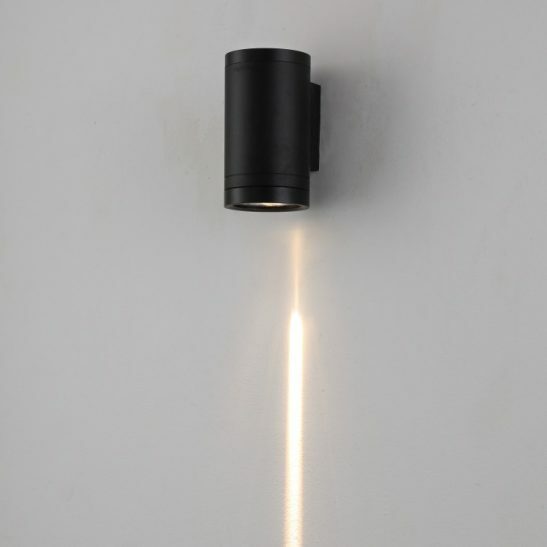 This light measures 210mm by 95mm and the LED driver sets right inside the body case of the light. 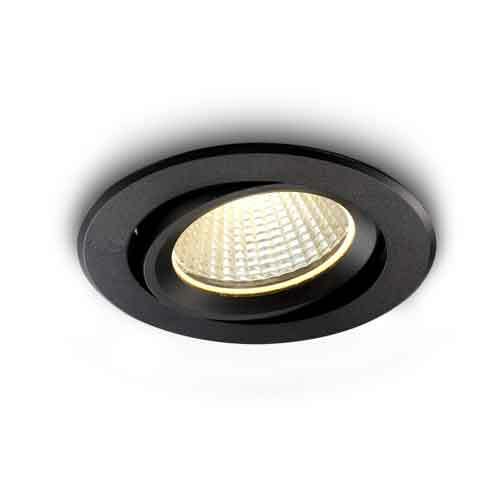 The LWA281 is rated IP65 so suitable for all outdoor applications. 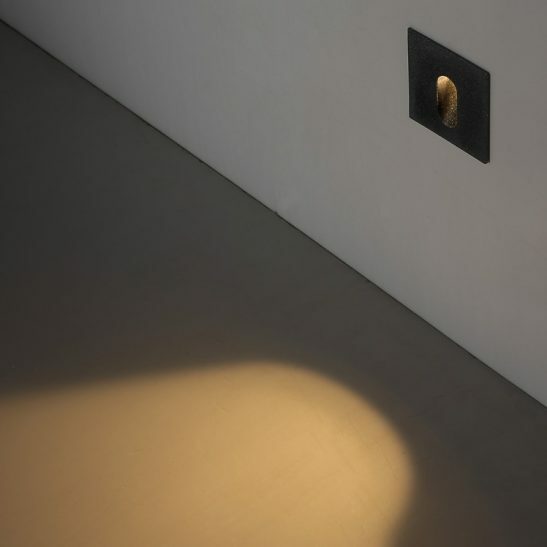 The light needs to be wired into your 110-240 electric main and a qualified electrician for safety reasons should do the wiring of this light. 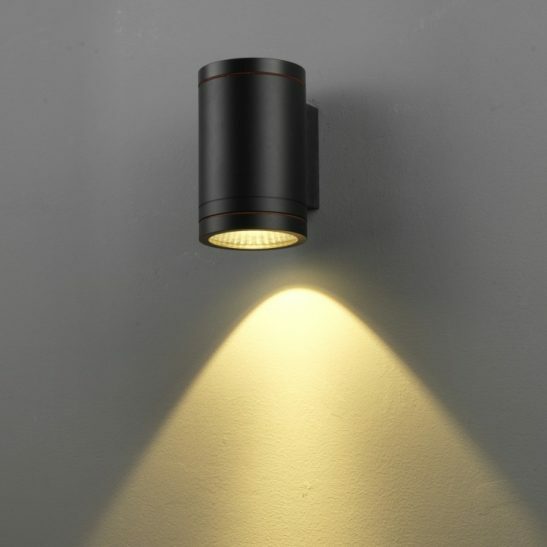 Made using the very latest in LED technology this light will provide you with a minimum of 20,000 hours of maintenance free lighting. 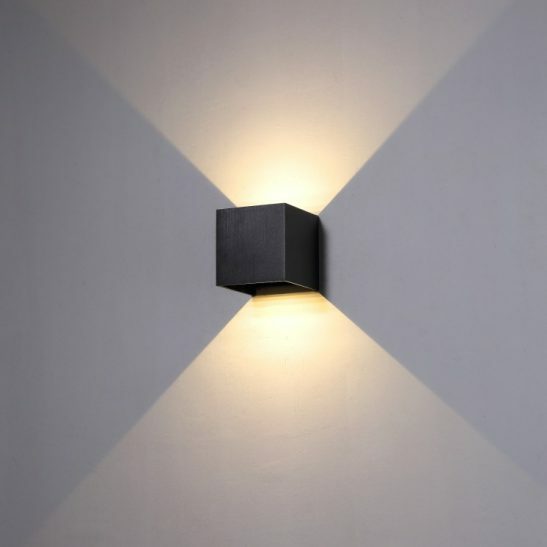 Since the LED is hardwired right into the light there are no light bulbs to change. This light also comes with a 3 year guarantee.